Living in the Northwest I've experienced a handful of earthquakes. Most small but some a little larger. The last one was a 4.6 magnitude earthquake in 2011 that woke me up. The largest earthquake I experienced was a 6.8 magnitude earthquake while I lived in Seattle back in 2001. My personal memories of these earthquakes aren't as poignant as the memory of my mom telling me a story from her childhood in Western Washington when she was in school and there was an earthquake. She turned around in her desk to see the girl sitting behind her and she was physically higher than my mom as the earth rolled under them. I can never forget the first time I saw pictures of the aftermath of the Great Alaska earthquake in 1964. I especially remember seeing a picture where a road was shift a good 4-6 feet like it was a town piece of paper. 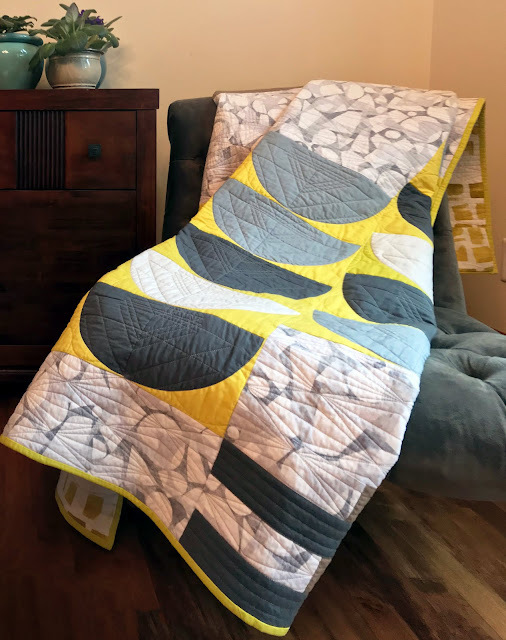 That's where I started when I designed this quilt, Tectonic Shift. 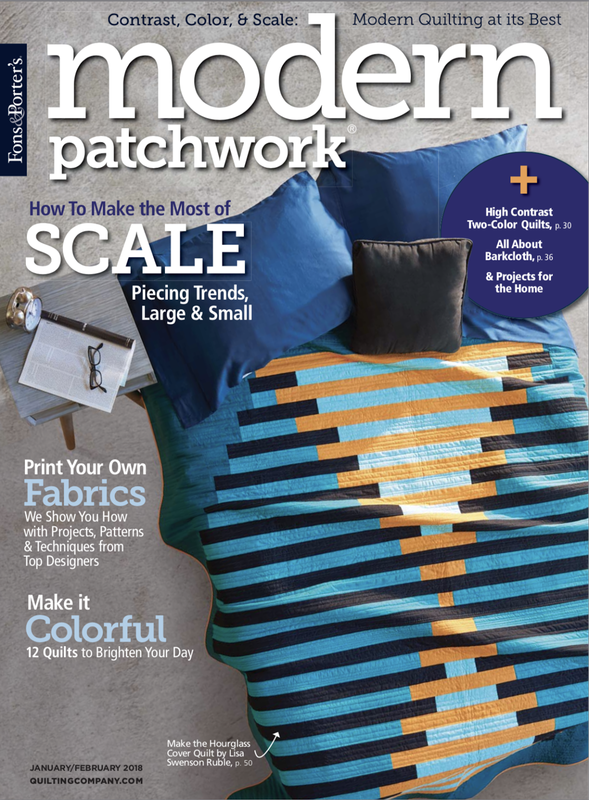 I'm very excited to share that this quilt is now available as a pattern in the current issue of Modern Patchwork! The magazine is available in print or instant download at The Quilting Company website. 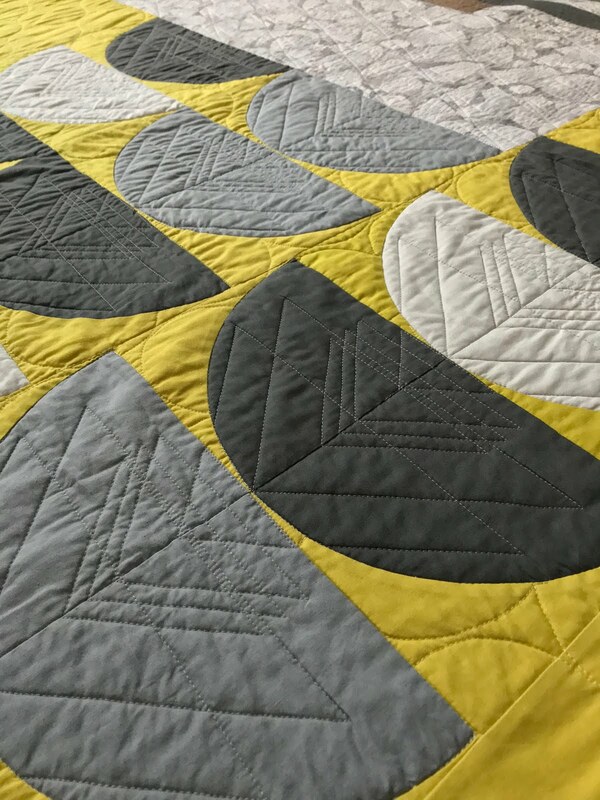 As the quilt came together I chose a more muted, earthy, color palette and discovered the perfect background fabric, Lizzy House's Nosara in grey. I also decided on a quilting design that had more of a Mid Century Modern aesthetic. 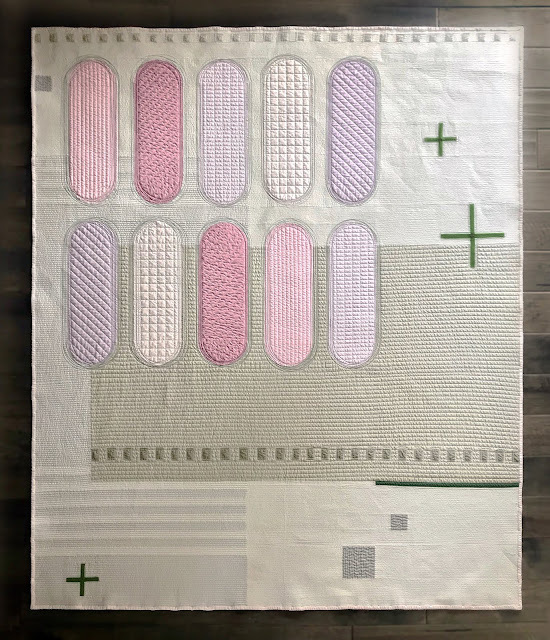 I'm really pleased with the styling of this quilt and can't be more thrilled that it was chosen to be published in Modern Patchwork. 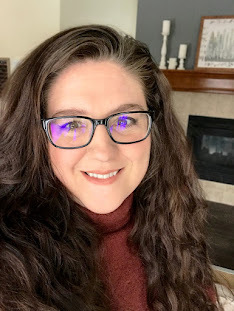 I really enjoy working with everyone at Modern Patchwork, they are so kind and professional and am so thankful they have published so many of my designs. 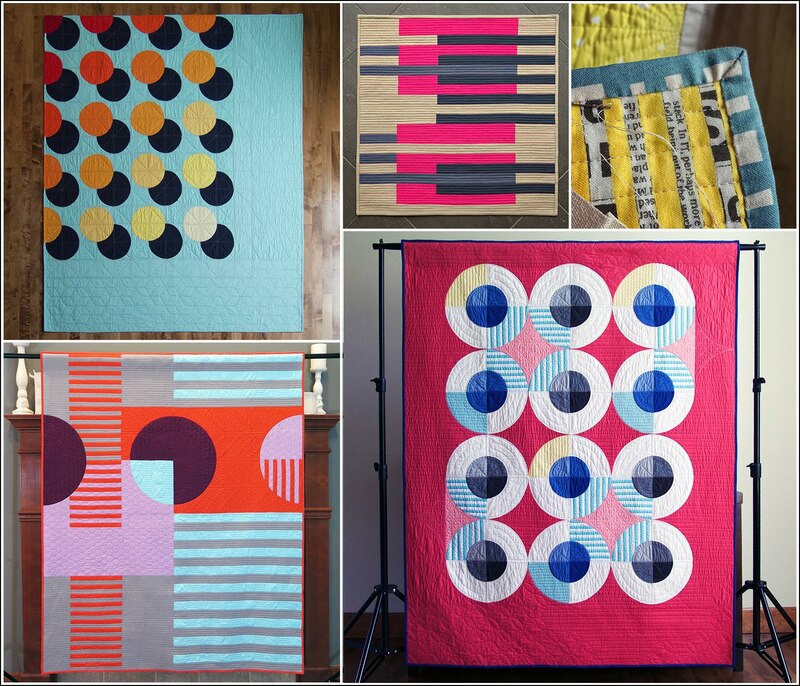 Many of you know that QuiltCon notifications went out yesterday and I'm beyond ecstatic to tell you all five of my entries were accepted!! I couldn't believe it! 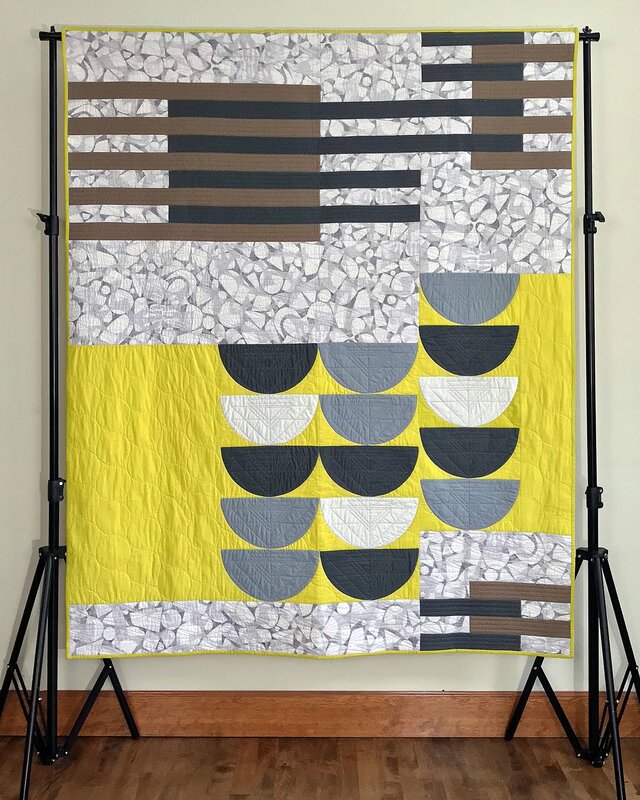 I hoped all of them would be accepted but never really thought it would happen, especially with the new submission rules and all the amazing quilts I saw throughout the year. Thank you all for your encouragement and faith in my designs to be selected.